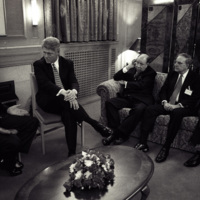 This Mandatory Declassification Review contains material on Tony Blair, specifically on President Clinton's meetings and correspondence with the Prime Minister from 1997 through 2000. 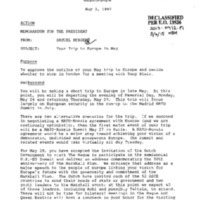 Material includes memos, letters, and talking points on a variety of topics, including Kosovo, Northern Ireland, and the European Union Summit. 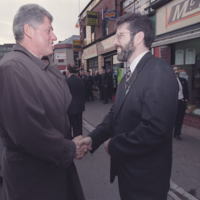 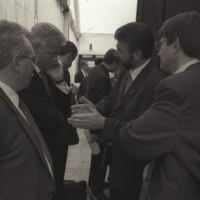 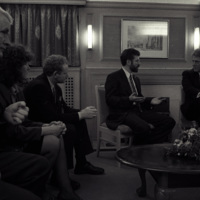 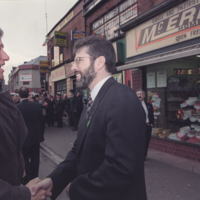 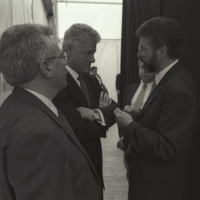 Telcons between President Clinton and various heads of state, including French President Jacques Chirac, German Chancellor Gerhard Schroeder, Canadian Prime Minister Jean Chretien, and Sinn Fein leader Gerry Adams, are included.